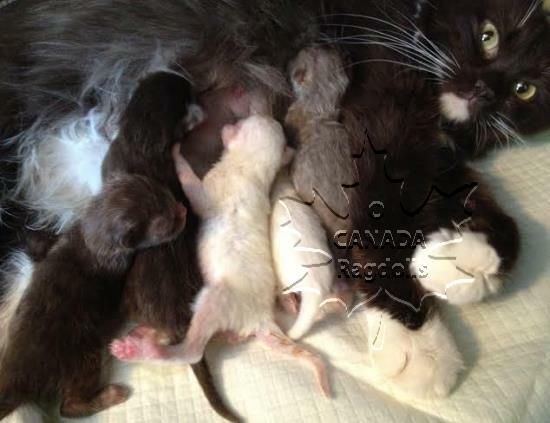 PUREBRED TRADITIONAL RAGDOLLS, MINK RAGDOLLS, SOLID RAGDOLLS AND EVEN BLUE EYED WHITE RAGDOLL KITTENS! We have babies in every colour and pattern! Rare cinnamon and fawn Ragdoll kittens are ready for adoption now too! 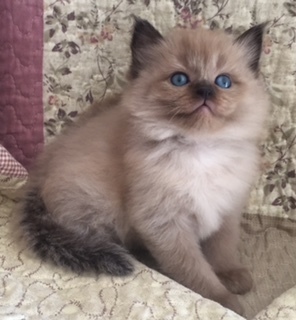 Traditional blue point mitted Ragdoll kitten! We have expanded our website to be more informative and are always willing to be supportive before, during and after adoption. We appreciate your questions and would be very pleased to clarify and/or educate anyone who wishes to know more. 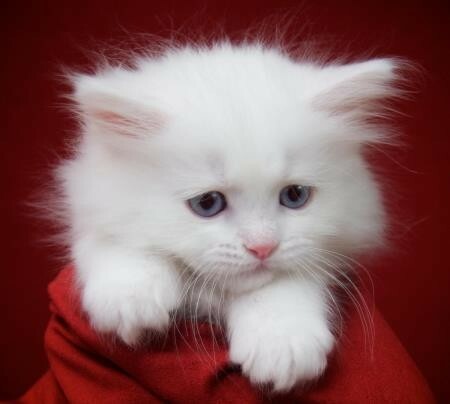 Blue eyed white Ragdoll kitten! The Ragdoll breed is a fascinating discovery for any pet lover looking for a large beautiful feline companion with a glowing heart. 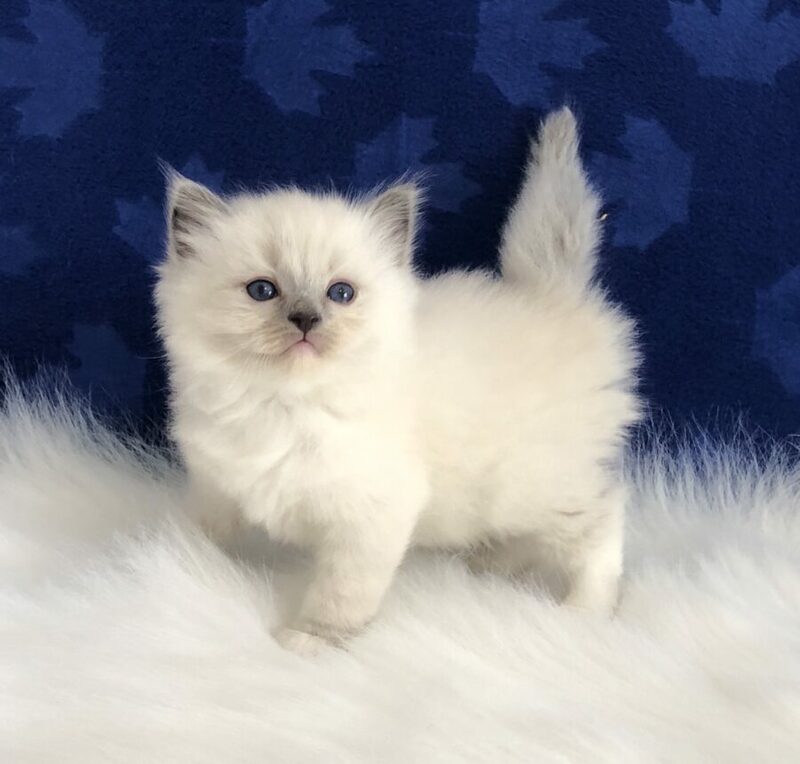 O CANADA Ragdolls is a loving in-home cattery, raising purebred Ragdoll kittens at our feet, on our pillows and with our hearts. We diligently attend to the needs of our Kings and Queens on a full-time basis, and in return they bless us with adorable living bundles of love. We extend only kindness to these babies and their loving natures take root and bloom endlessly! When it is time for them to leave the ‘kitty nest,’ to go to an approved home, they are healthy and have all the confidence they need to make a seamless transition. Traditional litter of Ragdoll kittens! Our Ragdoll family includes Ragdolls that are of Pointed, Mink and Solid variety. They are all purebred with verifiable pedigrees. We cherish ALL colours of Seal, Blue, Chocolate, Lilac, Cinnamon, Fawn, Flame and Cream in patterns that are Pointed, Mitted and Bicolour. We have calicos and tabbies on occasion. Additionally, we hope to provide Blue Eyed White kittens again in the near future. If you have a specific kitty coat design in mind, we are up for the challenge! 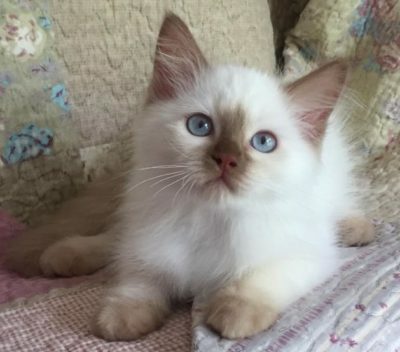 All of our beautiful kittens have exceptional 100% purebred RAGDOLL personalities. 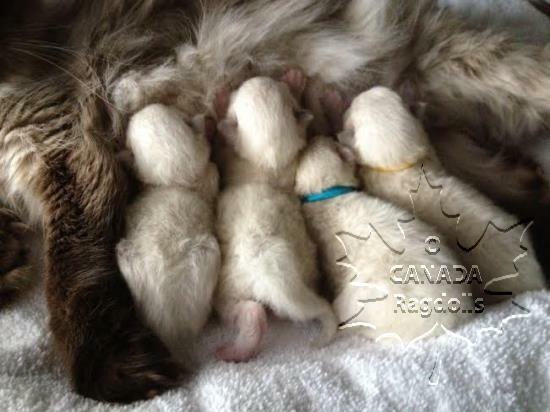 Traditional & Solid litter of Ragdoll kittens! Our adult breeding Ragdolls are registered with The International Cat Association and are DNA tested for all hereditary conditions that are of potential concern for the Ragdoll cat. We are also a closed cattery that is free of FIV & FELV. We hold a high regard for the health and well-being of our pet family who visit our vet routinely as a preventative measure of healthcare. Solid Cinnamon Bicolour Ragdoll Kittens! O CANADA Ragdolls is located just off of Highway 401 in Kitchener, Ontario (approximately 45 mins from the outskirts of Toronto). 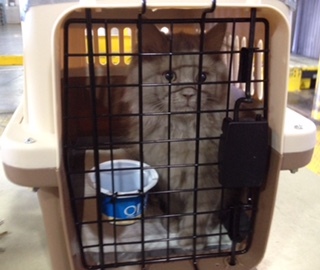 Our cattery is a comfortable driving distance from Hamilton, Stoney Creek, Burlington, Oakville. St. Catherines, Niagara Falls, Whitby, Oshawa, Oakville, Pickering, Ajax, Toronto, Mississauga, Milton, Georgetown, Guelph, Woodstock, London, Sarnia, Leamington, Windsor, Arthur, Owen Sound, Newmarket, Vaughan, Woodbridge, Bolton, Barrie, Orillia and of course Cambridge and Waterloo are minimal distances. Ready to board Air Canada! Pearson International Airport is a short distance for us and we MAY be able to arrange a flight for your precious kitten if you are not within driving distance. We ship on direct flights via Air Canada to British Columbia, Alberta, Saskatchewan, Manitoba, Quebec, Newfoundland, New Brunswick, Nova Scotia and PEI.